Simplifying the user experience is a key objective for the IronCAD development team and the 2015 release delivered upon this by extending its Configuration Based Design (CBD) capabilities such as its unique catalog interface. CBD is one of the main strengths of IronCAD’s applications by allowing users the ability to create designs and storing them in a convenient catalog using drag & drop. Access existing designs for reuse quickly, and drop them into new designs precisely or position quickly with the TriBall. 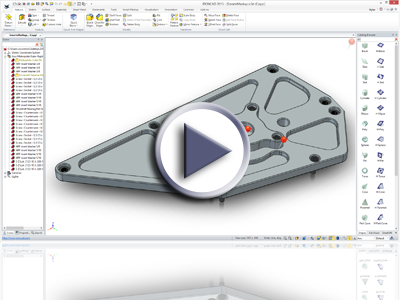 Extend your capabilities by adding intelligence on your designs for precise positioning, orientation, sizing, and the new capability to add constraints automatically. In addition, extend this even more to access business processes like pricing, procurement, and other information for more intelligent design considerations. In addition, to the design aspects of 2015, IronCAD’s commitment to sharing design content throughout the supply chain and the extended global team has fueled the creation of more powerful collaboration tools. Capabilities such as SmartMarkup and the new COMPOSE iOS app allows users to import, export, view and collaborate with extended teams to speed up the development process. The IronCAD DCS allows users to share, in a secure way, design data on applications with different levels of access and usability. 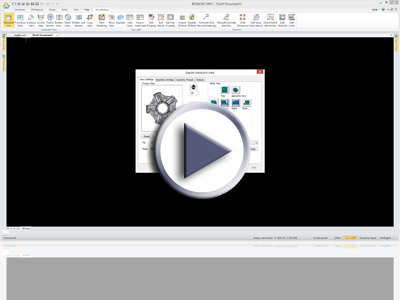 The ability to automatically connect to the source product data allows IronCAD DCS designers to quickly see optimized design configurations and preview downstream change requests. Designers can then accept, reject or further optimize design changes directly to speed product designs into production. Review the new features below for a more comprehensive list of enhancements in the 2015 release. Major improvements have been made in the internal management of the IronCAD data to improve performance on open and save of large data sets. On average, you can gain 15-20% in these areas especially dealing with assemblies that may contain many features contained in the parts. Improvements have been made in the welcome dialog to better guide you to new documents and existing files. In addition, links have been added to guide new users to resources for getting started including basic videos to more advance online training material. This dialog is present at the start of the products as well as when all open documents are closed in the session, providing a convenient way to access new and recently opened documents. 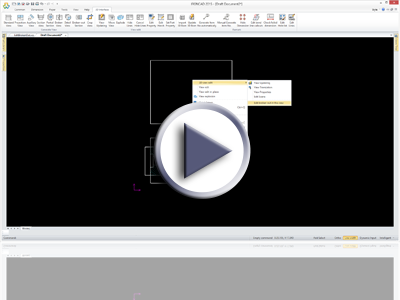 Extending the capabilities added in 2014, users can select multiple features and pull on handles to modify both size and position of multiple objects at once. On any selected feature, use the SizeBox/Profile handle toggle icon to change the behavior from adjusting size to moving the feature. 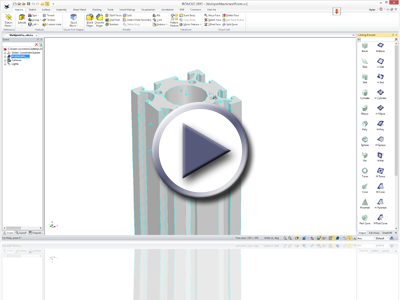 This capability provides a convenient method to alter multiple features without the need for applying parametric relations that are typically time consuming and combersome to work with. 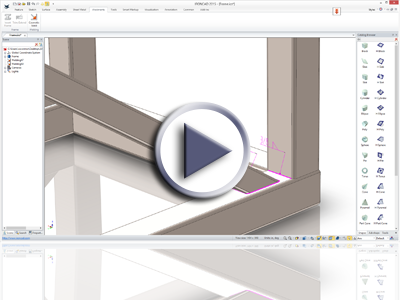 Often you will drag & drop an object from the catalogs to begin editing or positioning the dropped object to a desired orientation or location. Users can now independently set catalog items to enable the TriBall to be active on drop from the catalog. 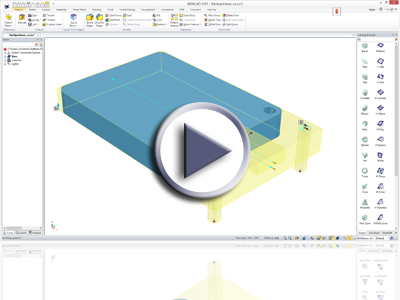 This allow users more control to drop and directly orient/position objects without the need to remember shortcuts or to mouse around to locate positioning commands. Typically you may select a number of objects or entities to use in a particular command context. However, sometimes accidental selections may lead to the loss of the entire selection set such as picking it the background or releasing the multiple selection key. In this event, a new command has been added to automatically re-select the previous selection set avoiding time spent re-selecting. Many users are now taking advantage of Attachment Points to build intelligence in their components. Improvements have been made when working with attachment points to help the selection process especially when there are multiple attachment points at the same location. Simple use the Selection Filter Command (Ctrl-Alt) when left-clicking to select an attachment point and this will enable a dialog for you to select the desired attachment point. Typically you may want to reposition an attachment point from a reference face to create senarios such as offsets. However in this case, you want to maintain the lock reference to the original face. Improvements have been added so that the orientation changes made on the attachment point to create the offset will remain when the lock command is invoked. SmartAssembly provides a unique advantage to you by allowing intelligence to be added to any object on drop from the catalog for behavior such as orientation, position, size, and even access to company specific information such as availability, costs, etc. However, the dropping location on SmartAssembly object may not result in the desired orientation. New utilities have been added to the existing Mate & Align Positioning command to allow you the ability to define a location nearest to an attachment point to align to the nearest attachment point on a mating selection location giving you precise control on the connection alignment. When checking for interference, it is not common to include suppressed objects in this detection. 2015 has automatically excluded suppressed objects even if they are selected as part of the interference detection check to avoid returning unwanted results. One of the powerful options of the TriBall is the ability to deactivate it and reposition it to a new location. In previous versions, the new location in this process was always stored when activating the TriBall at a later stage on the object. Now the orientation of the TriBall is also remembered allowing you to setup a new location without then need for seting a new anchor location or attachment point location. 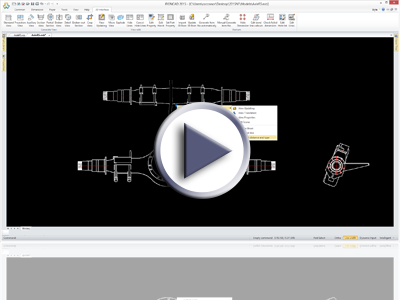 Catalogs are a key aspect of IronCAD’s design process by allowing you to store assemblies, parts, features, animations, and just about everything that can be easily dragged & dropped at any time to reuse to the object. People that make use of the catalogs find that these continue to grow with each object you add which brings on the need for tools such as search in the catalog. Expanding on these, we have introduced the ability to create a catalog group which is a single level container that you can add any number of object to to reduce the number of object at the top level of your catalog. Not only does this provide a convenient method for storage, it even allows a selection dialog on drop from the catalog to select the desired object. Gone are the times when you need to build parametrics, simply drop multiple versions to the object into a group and select the desired object on drop! When building complex constraints that could be between parts in different assemblies, the solving of these relationships may fail due to over constraints making the model more rigid. New options have been added to provide intelligence when solving to reassign the relationship levels to provide predictable results and flexibility. This is an optional setting for users to determine when needed. 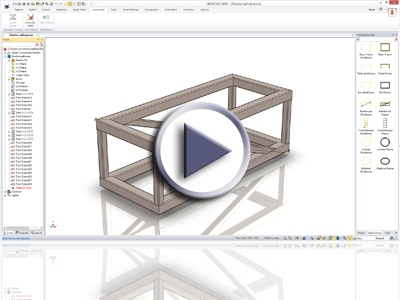 Machine design inevitably involves the use of structural steel members for items such as frames for tables, building structures, crane supports, etc. 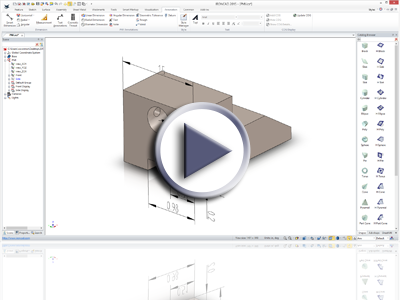 This process involves building a profiles that can consist of 2D and 3D curves that layout the path of the members to trace followed by end conditions for members that are connected or intersected. The Structural Steel process is a specialty application where the framework for this capability has been added for 2015. You can use these tools to build a single part consisting of many different members and sizes that can be trimmed to define the appropriate end conditions. 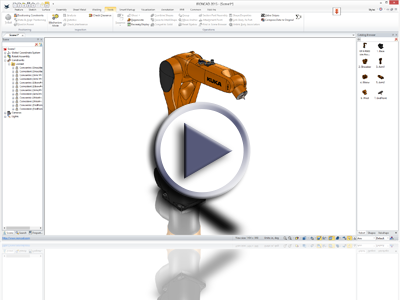 In addition, these parts will automatically be called out in the Bill of Materials with the name and length of each member to give accurate cut lists for manufacturing. 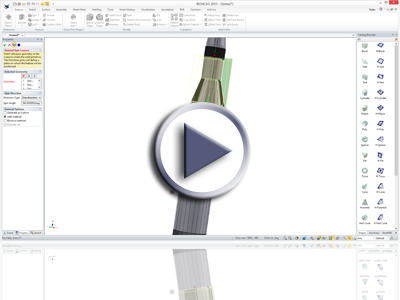 With the addition of the 3D Annotation, you will now have the ability to define a cosmetic weld bead on edges and between faces that also automatically create the weld callout in 3D. This callout can be transferred to the CAXA DRAFT environment automatically to properly annotate your 2D layout view. 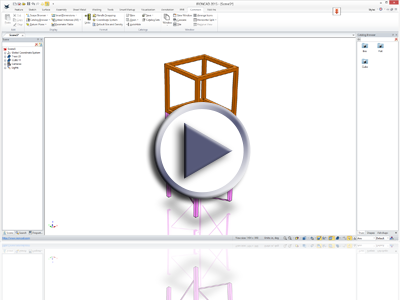 In addition to orientation, position, sizing and company specific information being accessible on SmartAssembly components, you can now define constraint conditions for attachment points. Imagine you are building a robot arm of multiple components. These component need to position and orient on drop but you would like them to also behave correctly when other component are moved as part of the mechanism. In 2015, you can add this constraint intelligence on the attachment points to achieve the desired behavior saving time manually creating these associations. A new creation tool has been added to support the creation of a sphere based on point pick points in the environment. Simply import point cloud data, curves, or even other 3D geometry (solid or facet) and pick locations to create a sphere object that can be used to reconstruct the real data. SmartDimensions have been improved to allow picking of point cloud data to measure spacing information that is useful when attempting to reconstruct data from the point cloud information. The Partial Cone creation tool using points has been improved to reduce the number of pick points to 4 to define the cone object reducing the overall time in creation. Another powerful creation tool from pick points has been added to create a spin shape. 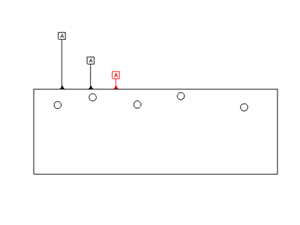 Simply define your spin axis by a selection of 3 points and then continue to select points to define the profile. Simple but powerful tool for reconstructing data from imported data. 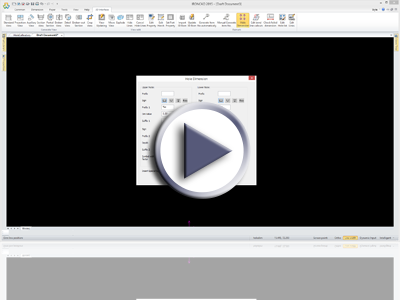 The standard view creation dialog conveniently shows the scene data that will be used in the projection to 2D. 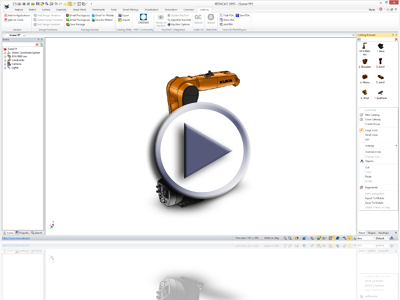 Within the view creation control, you are able to hide components that you may not need for the view representation. Once you hide data, the preview window will now automatically update and zoom to reflect the remaining visible object making it easier to verify the view layout and content. During the creation of a BOM in DRAFT, a new setting has been added to the dialog to allow you to access the BOM Styles. 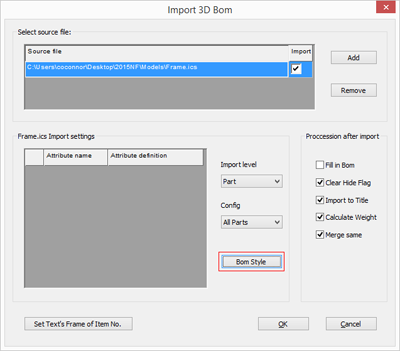 This handy option allows you to make customization easily to the BOM before creation during the command instead of a separate process. Options on the Break View to cancel and edit the operation have been added to assist in the creation, editing, or canceling of the command. The Auto Hole Table list has been enhanced to properly support box selection creation for holes and threaded holes with callouts. Enhancements have been made for the Broke-out Section to support editing of the region. You will now have the ability to edit the region profile and its position to redefine the section after initial creation. In the Hole Callout right-click menu, you can now set custom callout information that will be remembered and set for any additional callouts that are created. For example: You may want to change the text for “Thru” to “Through All” for clarity for all the callouts created. This can be set and remembered for additional holes created. Base line dimensions typically have a spacing factor that is defined in the standards for dimensions. A new control has been added during the creation to allow you to manually define or adjust the spacing to your own specifications if desired. A new command has been added to allow for the creation of a table in DRAFT. Simple access the command and pick a placement location and drag to define the table or input the exact information to create your own custom table. You now have the ability to control the length information on the Datum features to avoid issues where interference with other dimensions/objects may occur. Simply drag to adjust the height and position of the datum feature. 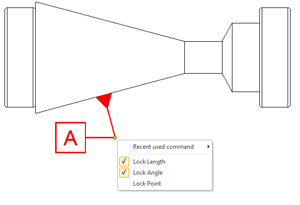 Right-click on the leader to access additional options to Lock/Unlock lengths, angles, and the point for more control. The styles and layers controls have been improved to allow users to define the text formatting independently for Radial/Diameter dimensions. This capability give you more control to define the text orientation for various dimension types. 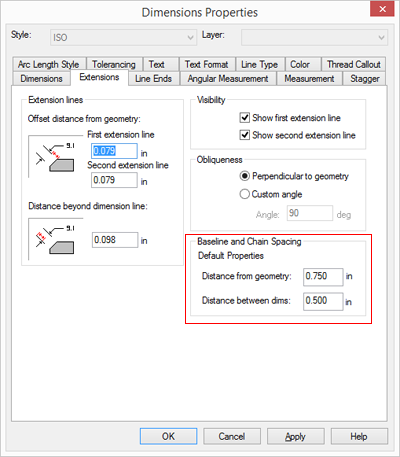 Reference lines are now available for reference in dimensions when setting the filter to “Include Geometry Points.” This provides additional capabilities to refer to points on reference geometry when dimensioning. New style settings have been added to control the spacing for chain and baseline dimension from the geometry and between dimensions (baselines). 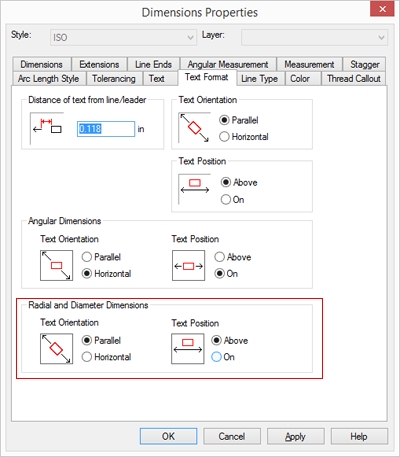 This allows you to set or override standard spacing values to your own standards. Reference lines can now be selected for the starting location in the Auto Dimension command. BOM Templates can now be stored with a sorting value based on the Part Numbers providing a productive tool for creating standard BOM’s ordered by product information. 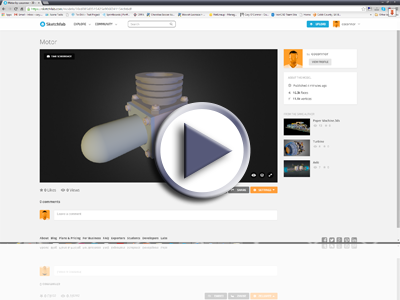 IronCAD is pleased to exclusively announce the completely integrated Multiphysics solution for IronCAD. 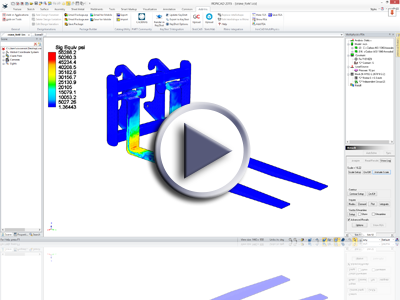 “Multiphysics for IronCAD” (MPIC) is the newest generation of integrated CAD/FEA for general entry level to advanced design simulations. 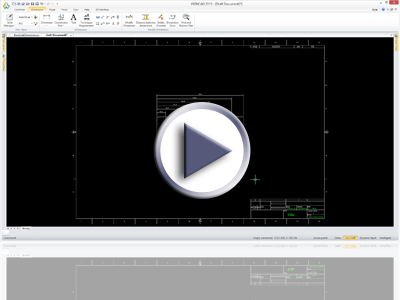 As part of the IronCAD Gold Partner Program, MPIC is included with full product capabilities with the standard IRONCAD solution as a node-limited version allowing you the ability to experiment with your designs. Even though the included version is node-limited, MPIC’s technology using SefeaTM (Strain-Enriched Finite Element Analysis) gives you extended capabilities to test you products at a lower mesh level. SefeaTM is the newest enriched finite element formulation developed specifically for low-order 4-node tetrahedron elements commonly used in CAD simulation. It achieves the same accuracy as 2nd-order elements, but is more robust, without mid-side-node noise, and requires much less computing cost. 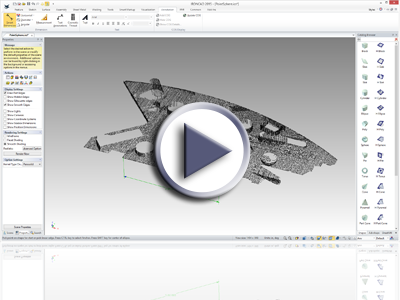 Seamlessly integrated, simply add a multiphysics analysis to your IRONCAD model. 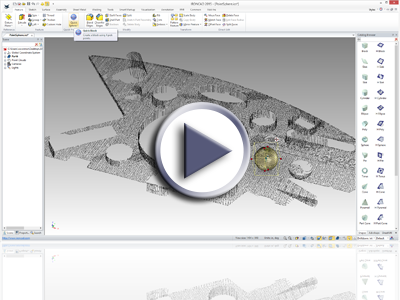 Add material, forces, constraints, and hit the AutoSolve to quickly mesh and return your analysis results. Make modifications on the IRONCAD model and associativity will allow you to simply update and re-solve your analysis in seconds. Beyond the included version, options to purchase full accuracy levels, advance versions, and add-on functionality are available. 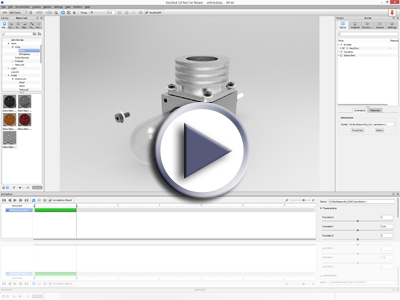 MPIC Basic includes full mesh quality accuracy with static/steady state and modal that includes contact support for product assembly analysis. MPIC Advance provides additional large deformation and large rotation abilities, as well as advanced nonlinear modeling ability of nonlinear elastic, plastic, hyperelastic/foam materials with fully runtime coupled nonlinear material dependency. 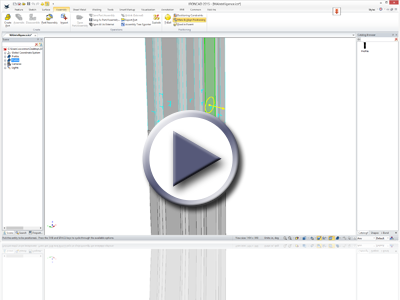 MPIC Advanced Dynamic Add-on adds advanced Stress Stiffened Modal analysis, Arc-Length Nonlinear Buckling, Frequency Domain analysis, and Fatigue analysis for advanced analysis options. 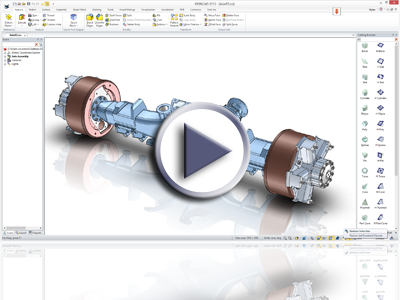 MPIC is an advanced multithread FEA design application with fast solver technology that can process large models with millions of equations in minutes. 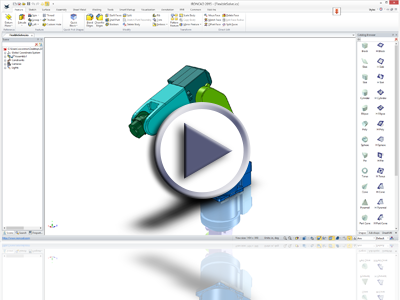 MPIC is developed and designed specifically for CAD design simulation by AMPS Technologies Company. For more information about AMPS, visit www.ampstech.com. 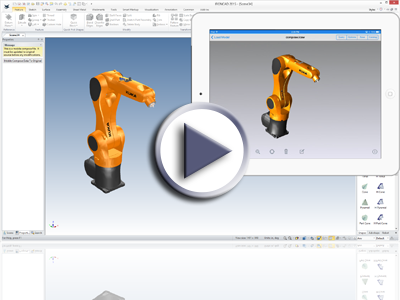 New for 2015 is the 3D Annotation framework that is the basis for PMI (Product Manufacturing Information). Levering the annotation capabilities of CAXA DRAFT, users will now have the ability to create 3D annotation such as Linear, Angular, and Radial/Diameter Dimensions, Notes, Geometric Tolerances, Surface Finish, Weld and Datum annotations directly in 3D on desired plane or viewing orientations. All annotations created can be transferred to the CAXA DRAFT’s 2D environment for improved speed in annotation when desired. 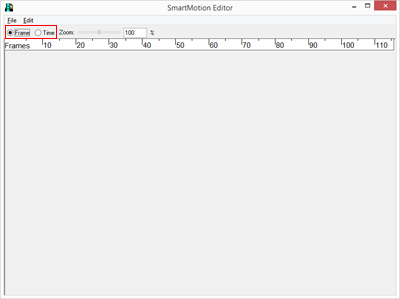 The SmartMotion editor has been improved to support both Frame and Time display for better visibility and control when working with animations. 2015 will now support the latest release of Keyshot version 5 giving users access to the latest improvements and capabilities. Simply install IronCAD DCS 2015 product and the KeyShot 5 product, and you will be ready to take advantage of the KeyShot for IronCAD! Contact your local IronCAD representative to talk about purchasing options. Note: You must have a purchased version of IRONCAD, INOVATE or IRONCAD DRAFT in order to purchase the KeyShot for IronCAD integration. IronCAD know offers the ability to purchase additional options in the KeyShot for IronCAD integration. New options include Animation, VR, and PRO to allow more capabilities to create stunning visuals to communicate your IronCAD designs. Contact your local IronCAD representative to talk about purchasing options. IronCAD’s commitment to sharing design content throughout the supply chain and the extended global team has fueled the creation of more powerful collaboration tools. Capabilities such as SmartMarkup allows users to collaborate with extended teams to speed up the development process. Designers and other collaborators can move beyond the traditional text based markups to apply meaningful change requests on data that is clearly communicated. Typically, basic markups are not clear and involve back and forth communication to make it clear. Using SmartMarkup, the changes are performed on the model so that everyone can clearly understand the desired change. Designers can then accept, reject or further optimize design changes directly on the real design models to speed product designs into production. Markups can be saved so that they can even be stored in data management systems for tracking RFQ’s. 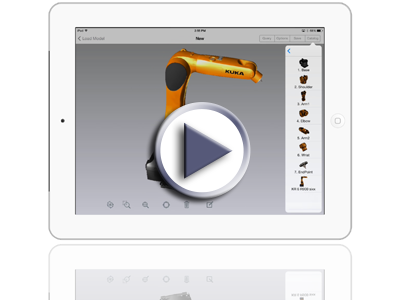 New IRONCAD COMPOSE iOS application allowing users to view and collaborate designs with your extended teams. Share files and catalogs with the iOS version of COMPOSE and configure your designs on your tablet directly with your customers. Share these new designs directly with the design team to speed up the development process. Available in the App Store later this year. Export your files and catalog content to be used on the mobile iOS devices. This option will create a graphical representation of your data that is not only lightweight but is secure to share with your extend team members without fear of providing your IP information. iOS users can view and leverage your catalog data to configure products that can be shared back to your design team that can convert the graphical information back into the real source data that can be leveraged to complete your designs, send to production, or even used to collaborate design modifications between the IronCAD suite of products. Creating content on the iOS device will create a graphical representation of designs. However, this data can be imported into the IronCAD design applications for viewing and even conversion to the real data representation if the information originated from catalogs converted to the mobile devices. Sketchfab is the leading platform to publish, share and embed interactive 3D content, anywhere online. Millions of people make 3D models or scan the real world in 3D, why would they share this in 2D? What YouTube did for video makers, or SoundCloud for musicians, Sketchfab want to do for creators of 3D content. Making this vision possible, a new integration has been added for IronCAD to automatically publish your IronCAD scene data to SketchFab! Improvements have been made with the GrabCAD integration to now support the ability to open directly from GrabCAD site in IRONCAD. 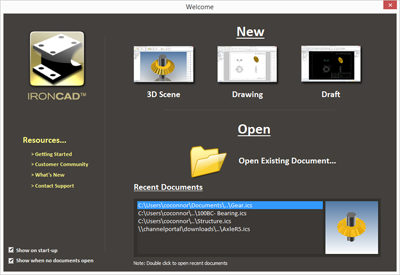 As long has you have IRONCAD installed on your machine, simply browse to any ICS content file on GrabCAD and select the option to “Open With” and IRONCAD will be listed that will download and open the file for you to begin designs!